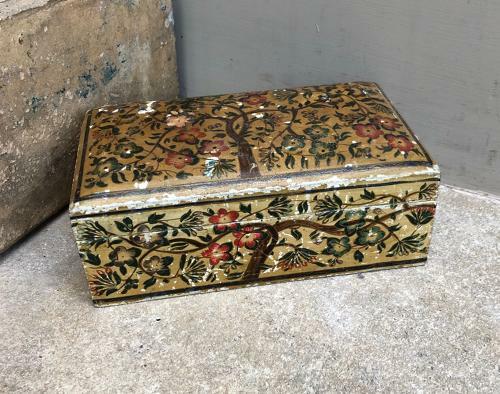 Pretty 1940s Hand Painted Box. Beautiful Tree of Life with Flowers all Over. The painting is on a gesso base and where the paint has chipped on the edges it shows the gesso underneath. Has a lovely look to it.